Walsine Pierce: THE GREAT DEPRESSION: One more time! 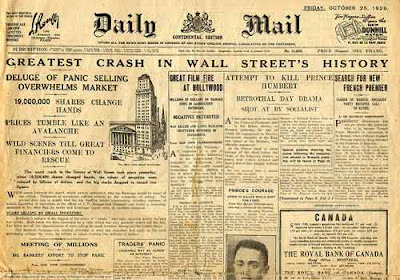 Neither the leading news agencies of that day nor the wisest of the wise foretold the Great Depression. Folks, I've no reason to think todays news agencies or the wisest of the wise, like Ben Bernake, are any better! The Boy Scouts have it right: Be Prepared! The term, the "Great Depression", is, as we know it today in America, a proper noun. It describes a specific historical era in America, and the world. 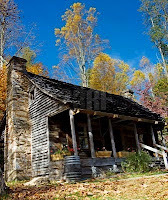 As fourth generation Irish during that period, my parents were just average citizens in West Virginia, a mostly poor part of the country. I recall the details of the depression vividly and can assure one that the "Great" depression was anything but great! But, that is another story. Americans normally associate the "Great Depression with President Herbert Hoover but the fact is that America has had many "depressions". 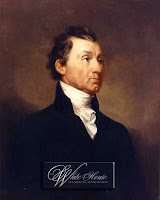 "I have no doubt that the current recession may become another world-wide depression", so said James Monroe. What was probably the first depression came just a few years into our new republic. In 1819 the country had an onslaught of bank failures along with depreciating currency. Sound familiar? President James Monroe was probably the first to coin the phrase "depression" to describe this economic condition in America. President Ulysses S. Grant referred to the Panic of 1873 with the lack of prosperity in the land as a "depression" in describing the extended loss of industries with the associated hardships. President Rutherford B. Hayes, before he became a General, then president, was a Company Commander in the 13th West Virginia Volunteers in the Civil War. My great grandfather, Indivan Pierce, was a Private in Company G and served under the younger Hayes. That, also, is another story! I have visited the Rutherford B. Hayes Museum and Library and was most impressed by the man's sticking by his word to only serve for one term when he was nominated. In his inaugural address in 1877 Hayes stated that "the depression in all our varied commercial and manufacturing interests thoughout the country still continues". President Calvin Coolidge referred to the post-WWI recession as the "Great Depression of 1921". Ten years later, in 1931, President Herbert Hoover said "I need not recount to you that the world is passing through a great depression." 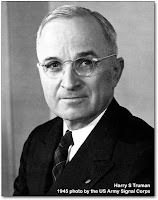 In 1952 in a national election President Harry Truman, who claimed "The buck stops here" in fact lambasted the Republicans claiming that they had brought on the "Great Depression" of that day. And, so, our country has experienced many "Great Depressions". I suspect that President Obama, however, will be much like Hoover in claiming all is well under his presidency. While the depression started in 1929, Hoover claimed as late as December 1930 that "the fundamental strength of the economy is unimpaired." As the world slowly wound down he was forced to admit the truth in 1931, the year of my birth. If our country was an individual it would be considered bankrupt and it isn't projected to get better, as seen by the deficit amounts above! To this date and time Obama, like Truman, is still blaming it on the Republicans and President Bush. The fact that it is his administration's spending that has tripled the deficit is not a consideration. He is "spending" our return to prosperity with "borrowed" money. That has been tried before. It does not work for a country anymore than it does for individuals. This is a train wreck that has already started to happen. Those who have assets not laden with debt will do alright. Even among family and friends, such people in today's America are few and far between. 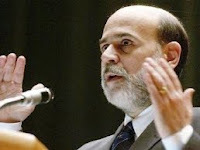 Those who have been wise enough to avoid excessive debt will also be wise enough to be prepared for a far worse economic downturn, including a devaluation of the dollar, the recall of gold, as well as wage and price controls. Wage control has already reared it's ugly head! Yes, the camel has his nose under the tent! Stand by for more to come! The challenge will be to protect what you have from the government as well as from your self indulgent neighbors. Uh, tax on juice? Tax on candy bars? We report, you decide! As we found out with the burning of cities by the mob mentality of the the 60's, and since, keeping our assets and stores won't be that easy today. Remember the scenes of looters breaking windows, setting fires and carrying off television sets as the police looked on? Still and yet, following Grandma Elliott's example of a good dog with a gun close at hand probably wouldn't be a bad idea! Robert J. Ringer, American entrepreneur, motivational speaker and author of several self-help books wrote an excellent book on preparing for extremely difficult economic times. The title tells it all: "How You Can Find Happiness During The Collaspe Of The Western Civilization". Ringer was off in his timing but his advice is dead on. This book can be bought for one dollar,($1.00) at http://www.eisenbrauns.com/ If you consider the seriousness of the book to be just plain ridiculious, take a moment and consider the debt we owe that we can never repay. Consider the growth and ambition of China, who holds our debts and is not a friend. There was a movie, which I cannot find, called "Roll Over" which told what happens when the USA's lenders, who know we cannot pay our debt, refuse to roll over the debt and ask to be paid. So far, we have always overcome. I consider this to be our greatest challenge. "The wise does at once what the fool does last"